Tell us what the novel is about. Carla Rizzoli and actor/PI Eddie Collins were once cast in the same TV show. He has never forgotten her. 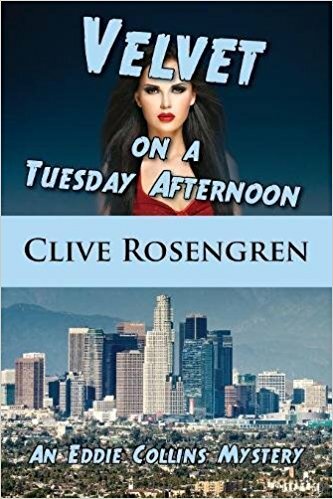 Now Carla needs Eddie to find her missing brother, who warned her in a note to “watch her back.” Carla, now an exotic dancer with the stage name of Velvet La Rose, has a role in a B-movie, and Eddie is driven by more than a paycheck to protect her, no matter what the risks. I’m not exactly sure, but somewhere in the neighborhood of 10 months. Did it take a lot of research? Not really. I spent 18 years in Hollywood working as an actor, so the inner workings of that town and that business are still fresh in my memory. What inspired you to write the story? My nephew’s wife, in an offhand bit of conversation, uttered the words of the title. 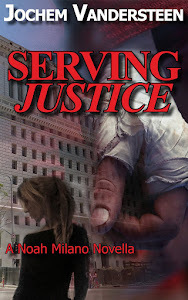 They rattled around in my head until a story gradually started to come together. What scenes did you enjoy writing the most? The scenes involving Carla Rizzoli. She’s a new character in the series, and the exploration of her “voice” was fun to flesh out. Who is your favorite among the characters in the novel? I would have to say that it’s still Eddie Collins, the PI. He is still revealing parts of himself to me, and remains an intriguing character.